Actress Shari Rigby got a passion for the entertainment craft early, but didn’t fully embark on that journey until later in her life. Her latest film, The Least of These, will play at 700 theaters nationwide at 7 p.m. on Thursday, January 31. Audiences are invited to stay after the film for a powerful recorded conversation with Rigby, who portrays Gladys, the wife of Graham Staines, Zacharias, a biblical apologist, and Dhanam, an internationally known author and the movie’s spiritual consultant, as they discuss more about the life and impact of Graham and Gladys Staines, the power of forgiveness and what it looks like when the Great Commandment meets the Great Commission. The Least of These stars Stephen Baldwin, Rigby, and Bollywood star Sharman Joshi. Based on a true story, The Least of These shares the remarkable life of Australian missionary Graham Staines, who in 1999 met an unexpected fate in India while serving the leper population. The film’s release date coincides with the 20th anniversary of a tragic event that shocked the world. Shot on location near Hyderabad, India, The Least of These is told through the viewpoint of a fictional character, Manav Banerjee (Joshi), who moves with his pregnant wife to Orissa, India, seeking a job as a journalist with the local newspaper. When speculation mounts that Graham Staines (Baldwin) is illegally proselytizing and converting leprosy patients to Christianity, Manav, hoping to make a better life for his new family, agrees to investigate undercover, hoping to catch Staines in the act. What Manav finds is a series of revelations that are difficult to fathom and even harder to explain, forcing him to make a choice between his own ambition and the truth. In the end, a tragic event and a surprising reaction from the Staines family will change Manav forever. The Least of These features a companion soundtrack to be released based on the movie with exclusive songs by well-known artists including Michael W. Smith, Toby Mac and Nicole C. Mullen and Getty Music. 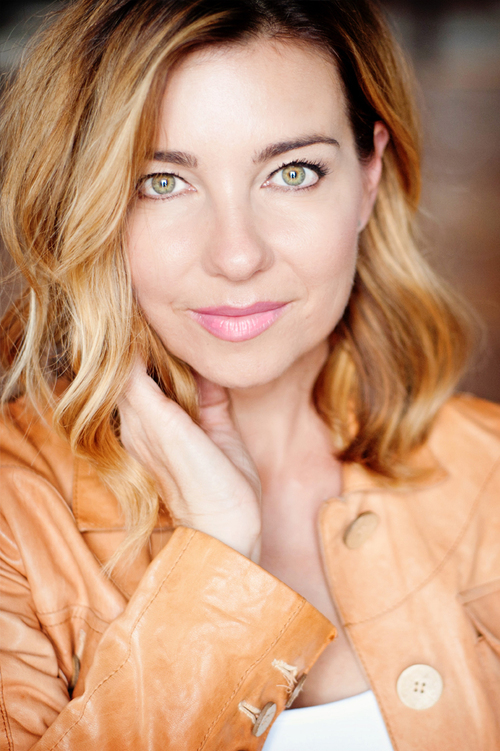 After Rigby moved to Los Angeles from her hometown in North Dakota in 2009, she went into modeling, commercials, television (The Young & The Restless, The Bold & The Beautiful) and film including roles in Not Today and October Baby plus now book writing! Shari has also developed several discipleship ministries and faith-based mentoring programs for all ages of women like “The Women In My World,” which includes a special focus on “Identities.” Shari has also worked with the Billy Graham Evangelistic Association, Feed The Children, The Gary Sinise Foundation, and several other organizations. Shari shared her various entertainment experiences, ministry work and current book Beautifully Flawed: Finding Your Radiance in the Imperfections of Your Life in this 2015 interview feature. The life experiences and testimony you share in Beautifully Flawed have connected with people very well. How long did it take you to complete it? I start writing shortly after the October Baby press tours, which were about six months. I was on the road speaking then got back to the book writing last year while I was working on a new film. All together is was about a year and a half. It was a great growth period. It was visualized as one thing; how I share my story with these people. The Lord worked in amazing ways. Describe your collaboration with Claire Yorita Lee on the Beautifully Flawed book. She is a film and TV writer in Los Angeles. We wanted the book to read like a story or a film. Claire would come in with her expertise and knowledge. She helped when I was redundant and has great finesse as a partner. How did your love of acting/entertaining begin? In my hometown of Cooperstown, North Dakota, there is a small movie theater there where I experienced movies as a child. It was a beautiful experience where I feel children can still use their imagination. So the movie theater, watching people, or being in open fields was like living in that dream world. Living in that world of grief. Dad would watch anything starring Clint Eastwood or about policeman. Movies were Infuse in me at a young age. October Baby was such as personal work. In what ways did it prepare you for writing this book? I was filming October Baby and Not Today about two weeks apart. I knew I would go to Birmingham, Alabama, for October Baby and Orange County for Not Today where John Schneider played my husband. It was amazing now to see where we were going. I mentioned Erwin brothers to John and it developed an even closer relationship among everyone in our discussions. I do think we’re in it together. If we’re truly in this for what we claim then there isn’t any way around that. The Erwins and their belief in me was important. I’m confident we will work together again in this tree the Lord has developed. What support/inspiration did you experience during your work on October Baby? That’s my favorite question. I get inspiration from the Lord. I had no idea what I was getting into. I read it. Saw the character’s name. The Erwin brothers said if I liked that part it was mine. I had no idea what I was about to read. Instantly the Lord grabbed my heart. As I read, I was seeing different parts of my life flashing before me and was grateful for it. Very shortly after, my human nature took over. I would review the script crying out to Lord. Not satisfied with only five minutes of screen time. The Lord reprimanded me and showed me what it was about. That was in 2010. Filming in Birmingham, my support was the Lord. I went to seek Him and allow Him to work through me. Sometimes we have too many people in head; that‘s when we start thinking about ourselves. Through that experience, I found that leaning on Lord would find forgiveness and peace. The Erwins were amazing and Anna Redman (wardrobe stylist) became a dear sister of mine. From the time of pre-production and during and right after filming; I was continually relying on the Lord. Your character was basically the centerpiece of the whole film. Yes, she was the character arch of the film. It was a turning point to see what God did with that character. So many people shared with me what the Lord did with them. I shared some in the book. I had pages and pages of stories. People have asked me whether I will write another part about it and how the Lord will bring me back into that acting part. My family is definitely behind me 100%. When I told my parents that God was calling me, at first they didn’t know if I had my mind on straight. When they could see how the Lord was working in my life; they came along side me. I’m currently working on an exciting new movie. Describe your television experience on soap operas. I have to tell you. The soap operas are a fine oiled machine. Anyone can get a soap opera gig. It’s a semi-normal existence, but with so many scenes. There are about two or three scenes a day on movie. I’m so blessed to meet people and have experience for my toolbox. He was calling me into where he calls me now with stories in the faith-based world. Describe your public speaking experiences in your various organizational and ministry work. What a huge difference between 25 people then 10000. The Lord is always giving us opportunity to grow and start building for us. He did that at a very young age for me. I gravitated towards people, sharing, and hearing their stories. Part of it that taught me so much was the art form of what we do in front and behind camera. In the early days, I would understand the fundamentals. Then I really have to learn the lingo and what’s expected, timing, and establish a hard shell. All these things were molded for me at a young age. Being a speaker definitely heightens your abilities. How did you get involved in your faith-based ministry work? My husband and I were living in Phoenix, Arizona, when it started at HeBrews coffee shop. That was really the beginning of service. God’s calling was laid on my heart. During my work on Women in My World and October Baby, I was contacted by the Billy Graham Evangelistic Association. Gary Sinise saw October Babyand reached out to me regarding his foundation. It’s great and important work that I’m continuing. Describe your “The Women In My World” program that you founded. What other future projects might be coming? More books. I’m working on the “three Ms” trilogy, based on the book of Ruth. It will have the subtitle – mother, mother-in-law and me. I am now one of three. It will be non-fiction, inspired, and about marriage. Also an entire women’s group of filmmakers about stories of redemption and restoration told from the women’s prospective. You’ve heard of the Kendrick brothers and Erwin brothers, so get ready to start seeing some sister teams on the big screen! I’m really excited. This entry was posted in 1Life and tagged Film, interview feature, movies, October Baby, Shari Rigby, Tall Writer, The Least of These. Bookmark the permalink.